(Originally published March 31, 2015) Using his mouth to spread quick rhythms across the globe, a 2008 CHS alumnus is fulfilling his lifelong musical dream. The 24-year-old, Gene Shinozaki, has devoted his adult life to beatboxing, a decision that seems to be working out quite well as he now travels around the world, performing at festivals, theater shows, flash mobs, and large-scale tournaments. 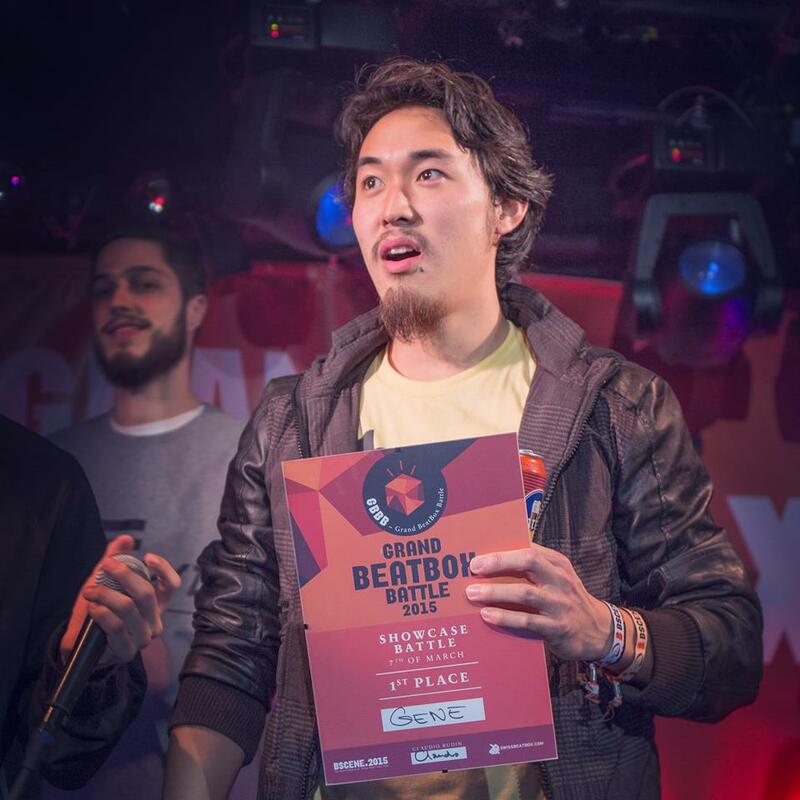 Shinozaki’s 3 1/2 years of training have enabled him to showcase his talent in Europe, where he skillfully defeated his opponents and took home the victory on March 7th, 2015 at the Grand Beatbox Battle in Switzerland. Shinozaki entered this tournament, one of the most anticipated of the year, by submitting a video audition to the organizers of the event. Once he arrived, Shinozaki found himself matched up against 12 of the most talented beatboxers from around the world where each had to display their expertise to judges in just five minutes and after this allotted time, the four competitors who received the most remarkable scores battled each other for the victory. Shinozaki eventually won the tournament and the accompanying title of the first American to ever win an international beatboxing competition. The musical success this talented artist experienced spawned out of a natural desire to manipulate beats and rhythms. Shinozaki experienced his first dedicated encounter with music as a drummer in the CHS Jazz Band. Later, at the Berklee College of Music, Shinozaki furthered his interests in music by studying the drums. Shinozaki’s interest in beatboxing began four years after he learned about the talent through YouTube during his time at college. Now, the young musician is living his dream by taking up beatboxing as a profession, a successful one at that. Shinozaki made top 16 of the 2013 American Championships and 2014 Great North Beatbox Battle in Canada, and he was a semifinalist for the 2014 East Coast Beatbox Battle and the 2014 American Championships. Consequently, he has traveled across the U.S. and even to Dubai to perform and is now looking forward to going to Cabo San Lucas and Berlin to express his art form in even more competitions. Traveling across the world, Shinozaki is perfecting his beatboxing profession by entering a plethora of tournaments and ranking quite well in a vast majority of them. The artist views his craft as an art form that can be used to connect all kinds of people as he carries on this remarkable passion into the foreseeable future. Click here to listen to and watch some more of Shinozaki’s work.